The Royal Navy currently operates maintains a small fleet of four Vanguard Class nuclear powered ballistic missile submarines (SSBN) carrying the Trident II D5 intercontinental ballistic missiles. the submarines are steam powered, their nuclear reactors converting water into steam to drive the engines and generate electricity. These submarines maintain constant patrol cycle operating as part of the UK strategic nuclear deterrent force. Of the four subs, two are on patrol at all time, one undergoing short maintenance and the fourth undergoing deep maintenance that includes refueling or replacement of the reactor, and other deep maintenance work. This cycle has been unbroken since 1969, totaling more than 300 patrols and more than 43 years. The submarine force is also being modernized. 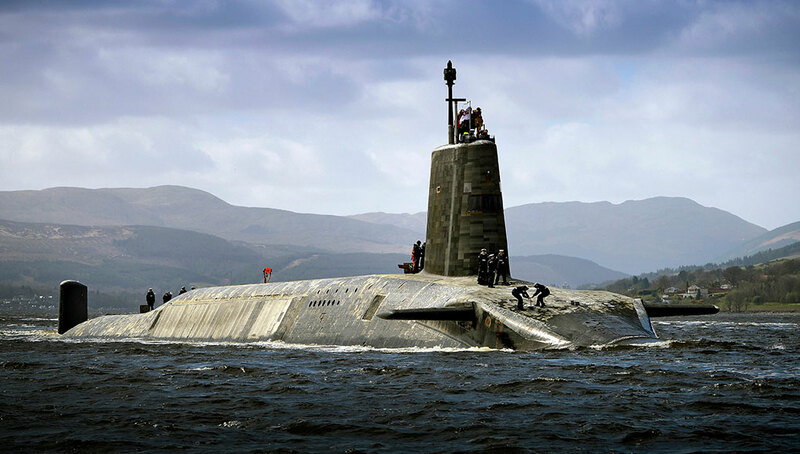 The Royal Navy maintains a fleet of ten nuclear-powered submarines, currently comprised of three types. 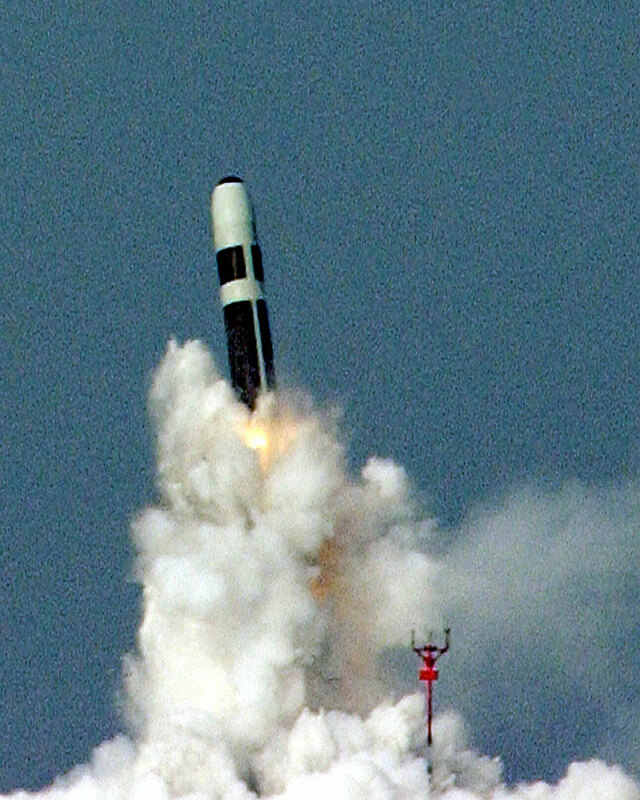 The four Vanguard Class Strategic Ballistic Missile Submarines are carrying the Trident II D5 intercontinental ballistic missiles. These submarines are set for replacement in ten years, by the Dreadnought class, currently in preliminary design. About half of the £3.3 billion budget cleared Parliament for the program has been awarded. 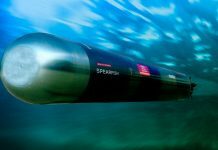 The funding will enable BAE Systems to develop the design of the submarine, including the layout of equipment and systems, and to develop manufacturing processes, including the production of early prototypes. The new submarine will replace the Vanguard class subs in the 2030s. The main sub contractors include Babcock and Rolls Royce. Hundreds of potential suppliers, including many small and medium enterprises, throughout Britain will also take part in this program. 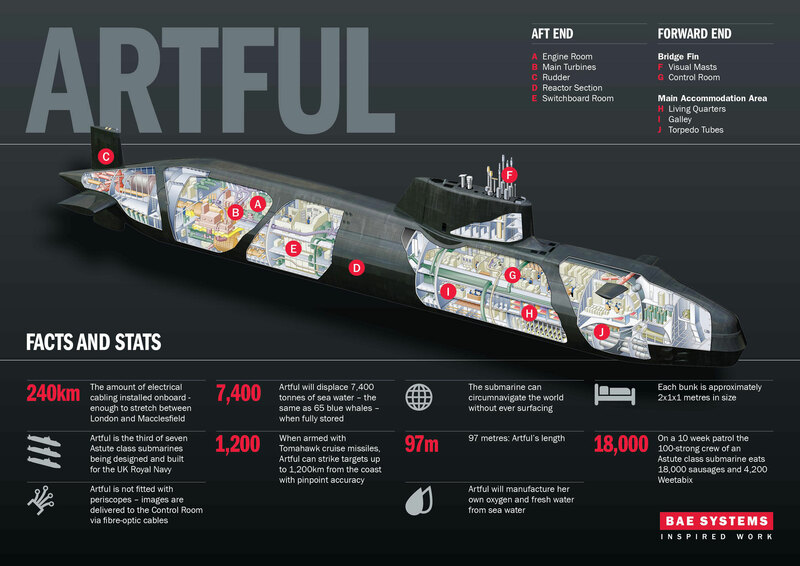 Three Astute submarines and three Trafalgar class attack submarines make the conventional force. Both classes are nuclear powered with new Astute subs gradually replacing the aging Trafalgars. 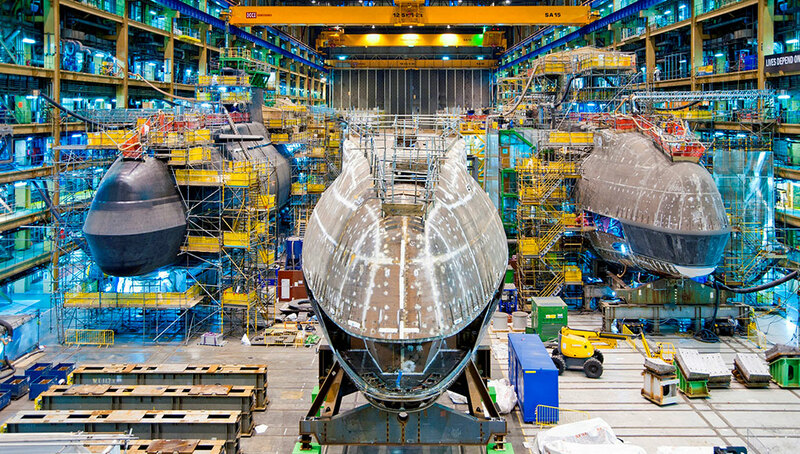 The construction of the fifth and sixth Astute class attack submarines is ongoing. 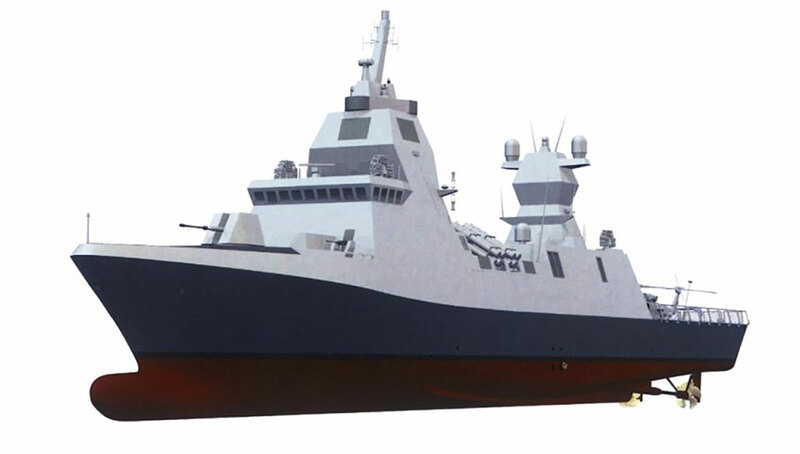 In April MOD concluded negotiation of the contract to build the Agamemnon, the sixth boat, at the cost of £1.4 billion. 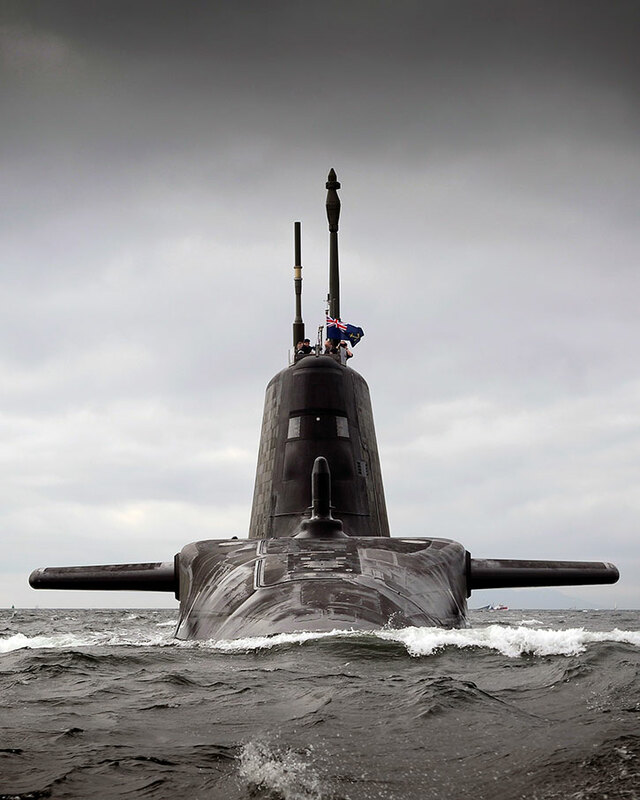 As its sister subs, the submarine is built at the BAE Systems in Barrow-in-Furness, Cumbria. Construction of the Agamemnon is expected to complete in 2022; It will be followed by the seventh and final submarine of the class. 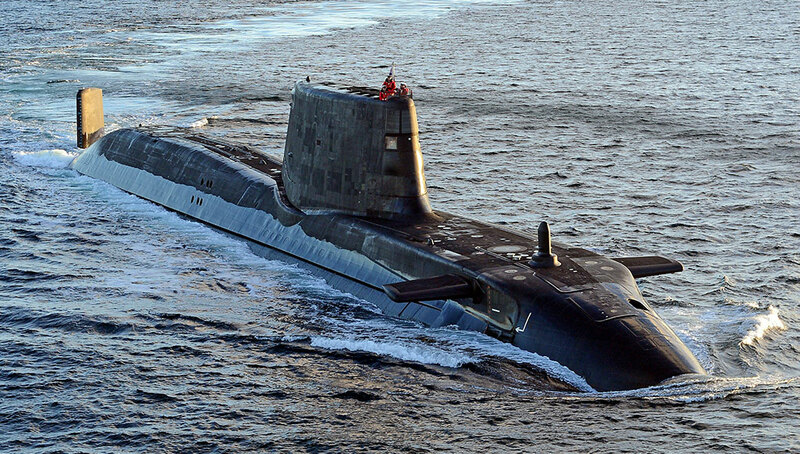 Featuring modern nuclear-powered technology the Astute Class submarines can circumnavigate the world submerged, manufacturing the crew’s oxygen from seawater as they go. 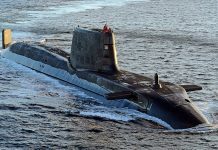 Although the Astute submarines are 50 percent larger than the 50 per cent bigger than the current Trafalgar Class submarines, they are quieter and have the capability to operate covertly and remain undetected in almost all circumstances. These submarines have six 21″ launch tubes designed to launch its weapons. The submarine carries 38 Spearfish Heavy Torpedoes and Tomahawk IV land attack cruise missiles (TLAM). 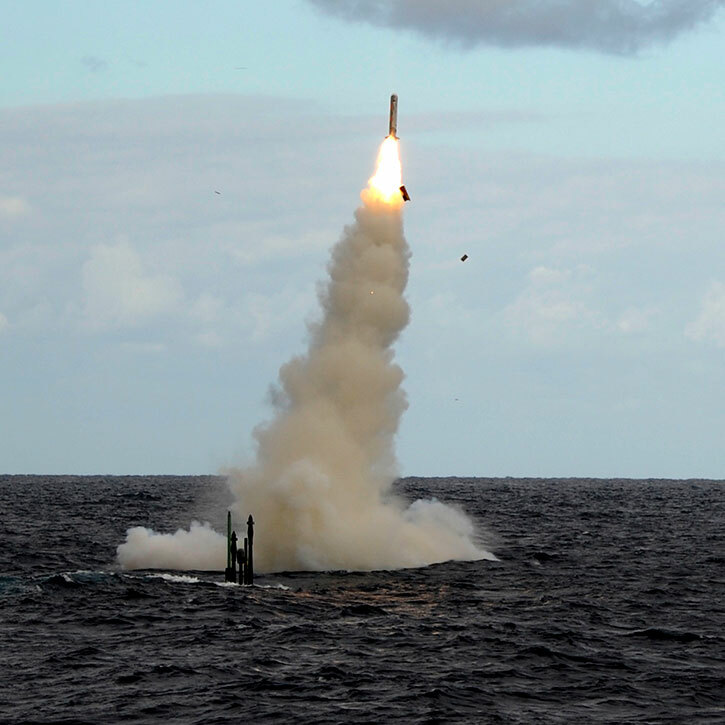 Spearfish is designed to strike enemy submarines, surface ships at ranges of up to 30 miles. 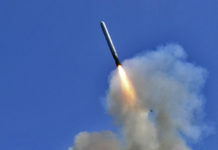 The Tomahawk attacks naval surface and land targets, at ranges more than 1,000 miles. 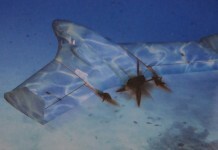 As the torpedoes, the cruise missiles can also be updated in-flight and send back images of the area or target, seconds before impact. 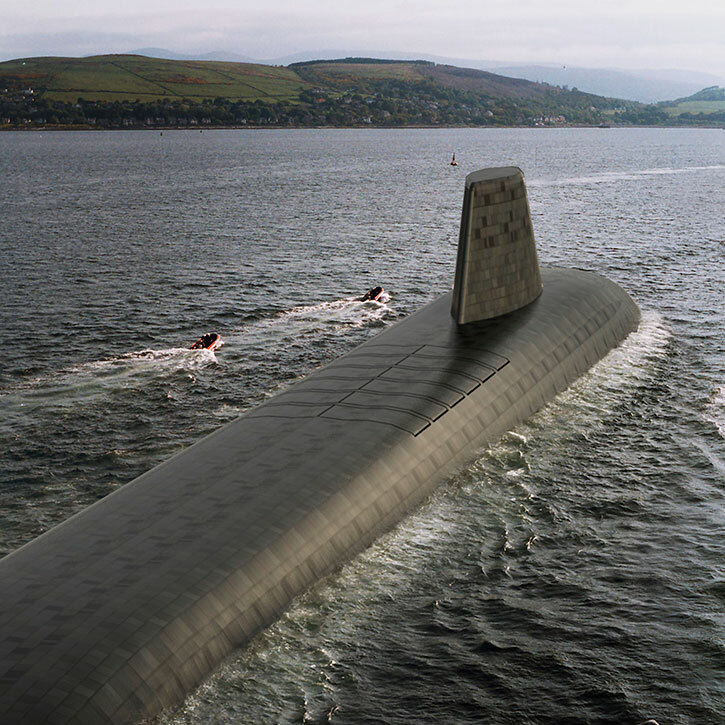 Scotland has always been a center for submarine activity and in the next decade, these operations will increase, as the naval base at Faslane on the Clyde, to become the main submarine home port for the Royal Navy, creating a submarine center of specialization. An important boost to Britain’s anti-submarine capability will be the arrival of the first of nine Boeing P-8A Poseidon, expected to arrive at Lossiemouth by 2019. These aircraft will reinstate the maritime surveillance and anti-submarine capabilities lost with the termination of the Nimrod fleet a decade ago. The Neptune aircraft will operate with No 120 and No 201 Squadrons, to perform maritime surveillance and anti-submarine operations. Unlike their US and Australian counterparts, Britain does not have plans to operate unmanned aircraft with the P-8A at this stage. 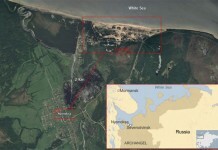 The £3 billion acquisition include £400 million investment in infrastructure development at Lossiemouth. The P-8A is designed for long ocean patrols.